Marrakech was a blast. a real change of cultures, a lesson in patience and a change of pace. It started weirdly with Louis Theroux and his family on our easy jet flight from Gatwick (the unfinished airport). He was to reappear daily while we were painting, just to weird us out. Marrakech is an assault on the senses, the bustle of the souks the smells of spice and moped fumes, the call of shop keepers “come look Ali Babba”. It’s a crazy whirl of getting lost continually, trying to find the walls. 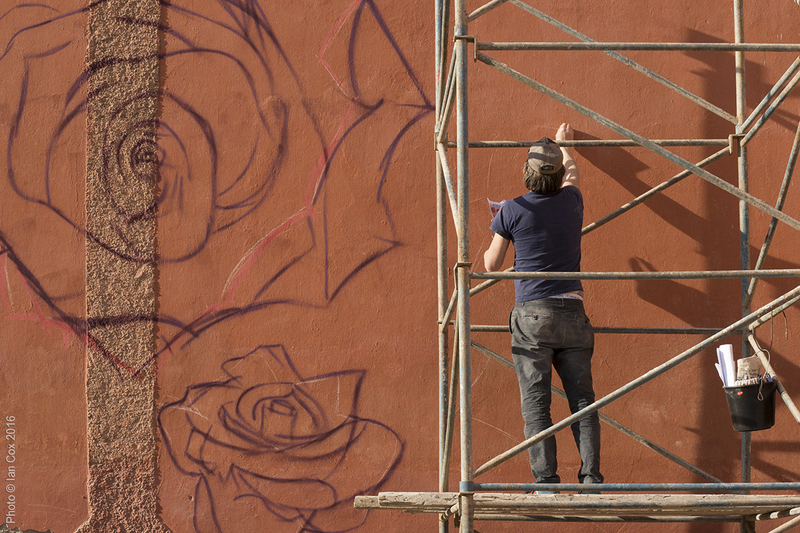 It was a nice mix of folk curated by Atttollo, for the Mb6 street art festival. Local boy Kalamour joined Alexey Luka from Moscow, Giacomo Bufarini aka Run from Italy via Stoke Newington (my old stomping ground), LX one from France, Remi Rough and Yesbee from Saaf London and all three in the Agents for Change crew, Mad C from Germany and old friends Lucy Mclauchlan and Sickboy from Nuart and the Widewalls Majorca easter break, with Ian cox on the camera it was like old times. 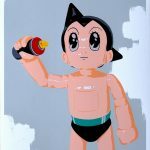 When first asked to participate in MB6 street art festival i was very aware i was going to paint in a culture not my own. My usual subjects were not going to work in an islamic country. Islam resists to the representation of living beings both man and animals this ultimately stems from the belief that the creation of living forms is unique to God. So my western stuff like trash, toys and rude kids were out. 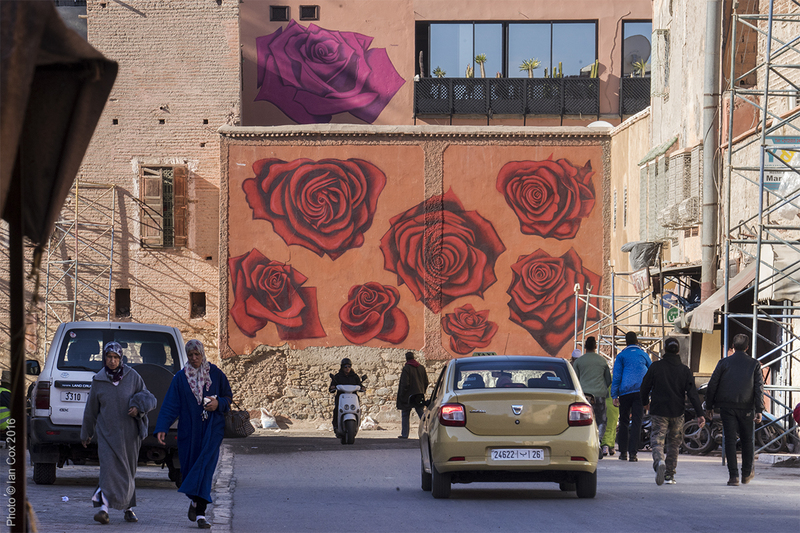 Marrakech is often called the rose city for its colour, everything is painted a reddish brown, coupled with the fact that Morocco is a major producer of rose oil with a unique fragrance meant that i had found something local i could focus on. The cabbage rose that grows there is not a looker, (its called the cabbage rose for a reason) so i picked a prettier version to paint. The scaffolding was scary but the locals made me welcome, being asked to eat with the local masons and given countless cups of Moroccan whiskey (mint tea) from the berber barrow boys who carry goods in and out of the souks. We were housed in a couple of cool riads across the city with the sun beating down on us painting during the day it was a cool place to hang out at night. 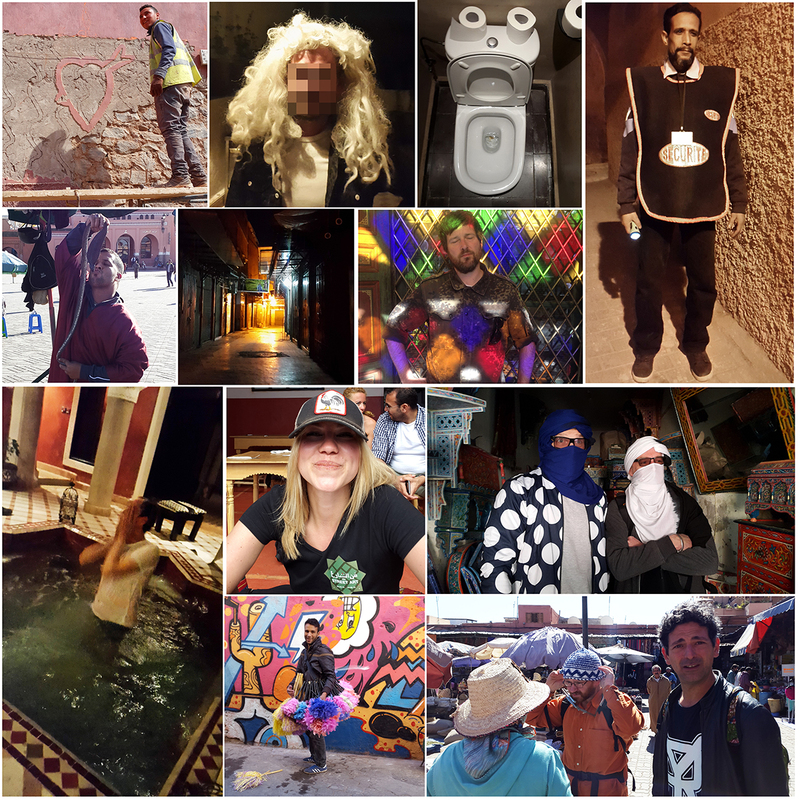 As the week went on the Marrakech Biennale started with a series of parties, where tiny snacks and large amounts of alcohol often equalled drunk artists, a bloody good laugh was had by all. A massive thanks to Ahmed our local fixer and practical guy and of course his assistant Hassan. Big thanks to both Gladys and Elena who helped the wheels stay on the cart, and of course to Vestalia and Terrence who organised the whole affair. 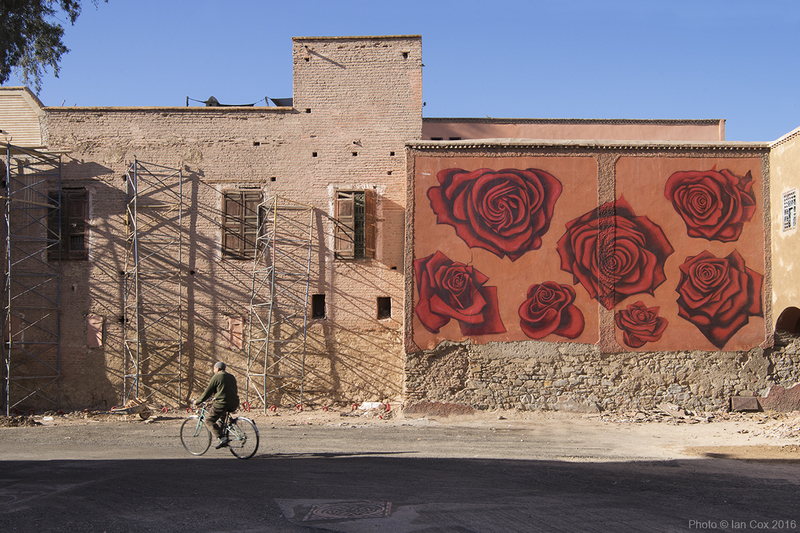 This entry was posted in Festival, street and tagged biennale, marrakech, morocco, rose, street art by dotmasters. Bookmark the permalink.